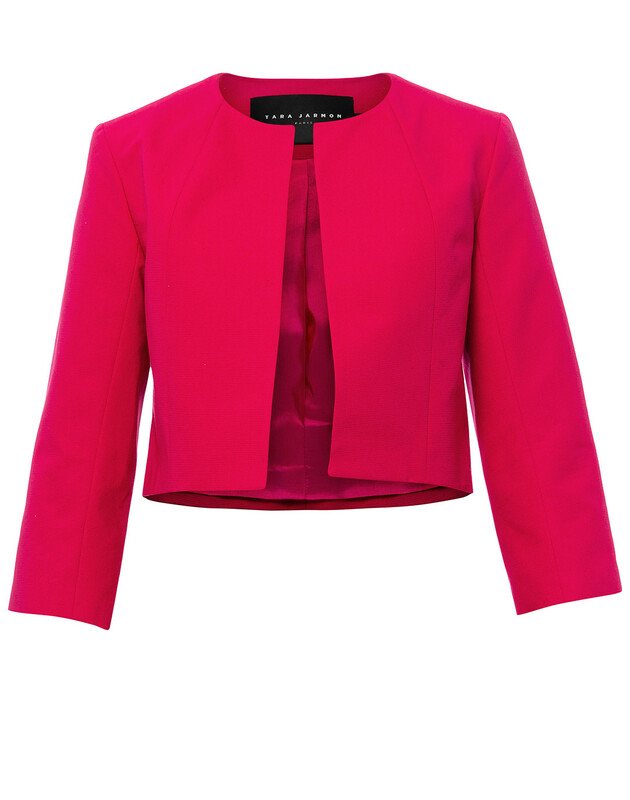 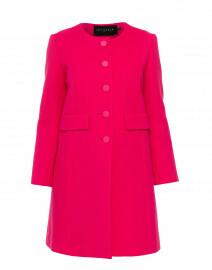 Tara Jarmon's cropped fuchsia jacket is a sophisticated piece due to its clean and simple structure. Cut from Ottoman ribbed cotton, it is shaped with round neckline, open front and 3/4 sleeves. 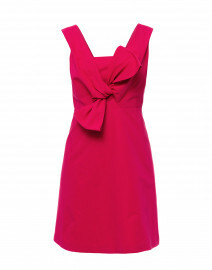 Pair it with the label's coordinating fuchsia dress for a polished evening look. 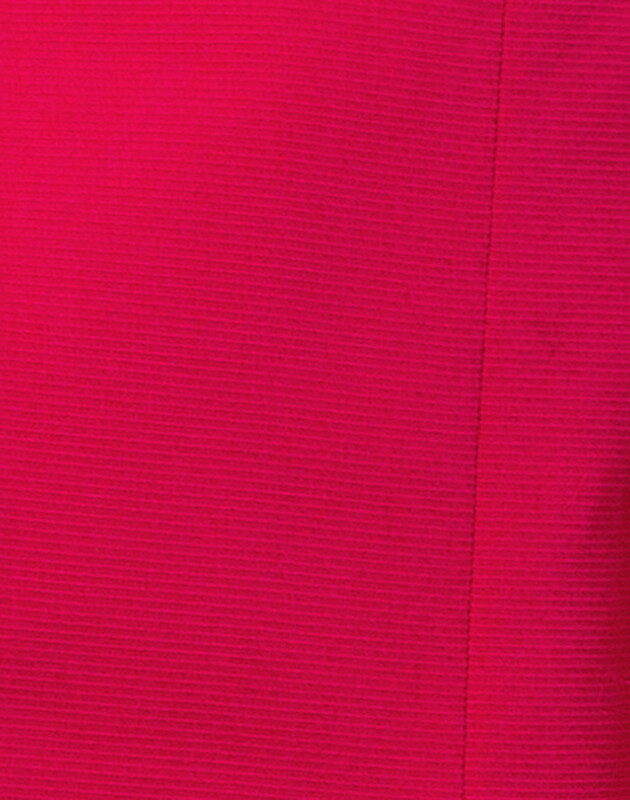 Length 17" 17" 17.25" 17.25" 17.5"
Sleeve Length 18" 18" 19" 19" 19"